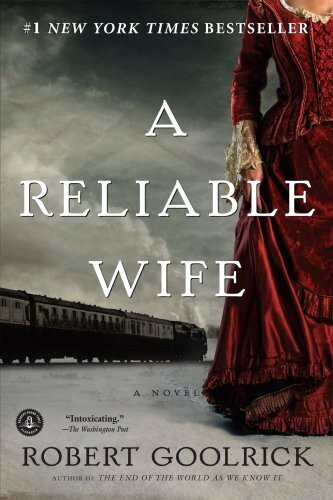 A Reliable Wife isn’t my normal reading fare. I picked it up on the recommendation of a couple of people in the publishing industry. This book certainly isn’t for everyone, it’s rather slow paced, heavily narrative, and more than a little disturbing. That said, it still fascinated me and I read it in record time. One should not be fooled by the cover or the title, this is not a historical women’s fiction novel. This is a harsh book dealing with horribly broken characters, who page by page slowly become clear in their intent. As I read, I wasn’t sure they would in the end be redeemable. After I finished this book, it took me a while to decipher what, exactly, had kept me so engaged. I’m a true fan of well-drawn characters. This book had that in spades, albeit rarely in an endearing way. A Reliable Wife delved deeply into psychologically damaged people, and in the end delivered a relatively satisfying conclusion. But this book is about the journey, and looks at that journey with an unflinching eye. I did have a few bones to pick about the interweaving of the plot, and the fact that things hidden were done so in sometimes manufactured ways. A Reliable Wife takes place in the early twentieth century in rural Wisconsin, and the harsh winter landscape mimics the bleakness of the souls of the characters. It’s about a middle aged well-to-do widower who places an ad in Midwestern city newspapers seeking a reliable wife. It’s answered by a quiet spinster. Naturally, things are not what they seem. If you’re up for a very different kind of story, this gothic-style book will deliver.